Captain Jake Curley has over 10 years experience and specializes in Canyon fishing. He is dedicated to his work and driven to help his customers catch record-sized fish. Running his trips are more than a job for Jake, they are his favorite way to spend the day, and he is always happy to share his fishing knowledge with his charter guests. Captain Jake holds a USCG 50 Ton Masters license. He currently attends the University of Rhode Island and is working toward a bachelor's degree in Marine Affairs and Aquaculture. Jake is also the owner of JC’s Offshore Tackle. He builds tackle that is specifically designed for offshore fishing. Jake uses his own tackle on all offshore trips and tournaments that target Yellowfin, Bluefin, Marlin and Mahi Mahi. JC’s Offshore Tackle is instrumental in the success of these trips. Jake and his crew have placed in numerous high profile tournaments with winning fish. 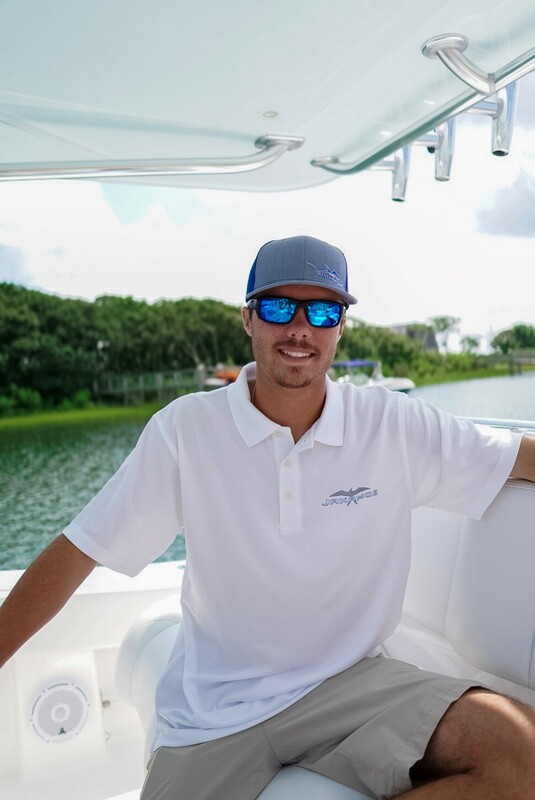 His passion and competitive nature allows Jake and his crew to generate great results on their charters.